use to apply on hands, feet and arms to decorate body or to color the hands feet and arms but it is a tradition to decorate hands feet and arms on some occasions like eid,weddings and festivals. 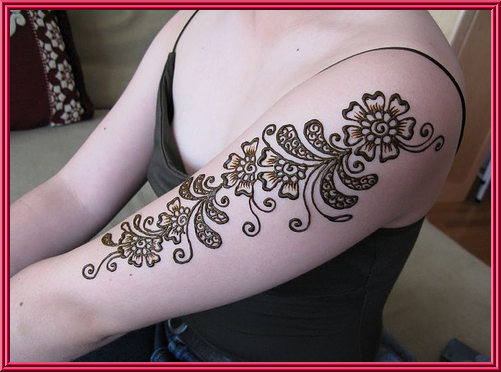 But now a days some art of applying mehndi on body or henna designs is changed which is called Tattoo. decoration that developed in India.